The Lauberhorn downhill does not only entertain spectators with its 4,455-m-long course, which is the longest of the World Cup circuit, but also with the Haneggschuss, which is the fastest section on the Lauberhorn where top speeds can reach up to 160 km/h (100 mph). 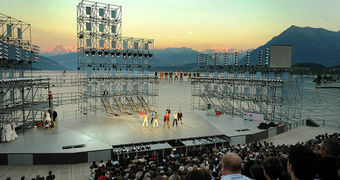 Apart from its signature jump, the Hundschopf, the descent impresses spectators in particular with its panoramic views of the Eiger, Mönch and Jungfrau mountain range. A special highlight is a helicopter ride which takes visitors from Gsteigwiler to where the action takes place. After a soft landing, they can watch the competitors race down the mountain at full speed. A visit of the race course is equally worthwhile in summer. 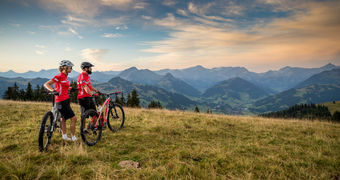 The Lauberhorn trail guides visitors on a 5 ½ hour hike past the key sections of the downhill course, with the Hundschopf and the Kernen-S, and allows them to admire the beautiful panoramic views of the mountains. The FIS Ski World Cup Lauberhorn Wengen looks back at a rich history. The famous wind gust, the Guggiföhn, which sweeps down the Jungfraujoch at a velocity of up to 200 km/h (124 mph) directly over the Lauberhorn. The Crazy Canucks from Canada who unexpectedly won in 1975 with a spectacular team result. They thus changed the perception of the World Cup and made it more entertaining. The colourful history of its founder, Ernst Gertsch, who launched the first international Lauberhorn Wengen race in 1930 and who was crowned winner of the first Lauberhorn slalom in the same year.